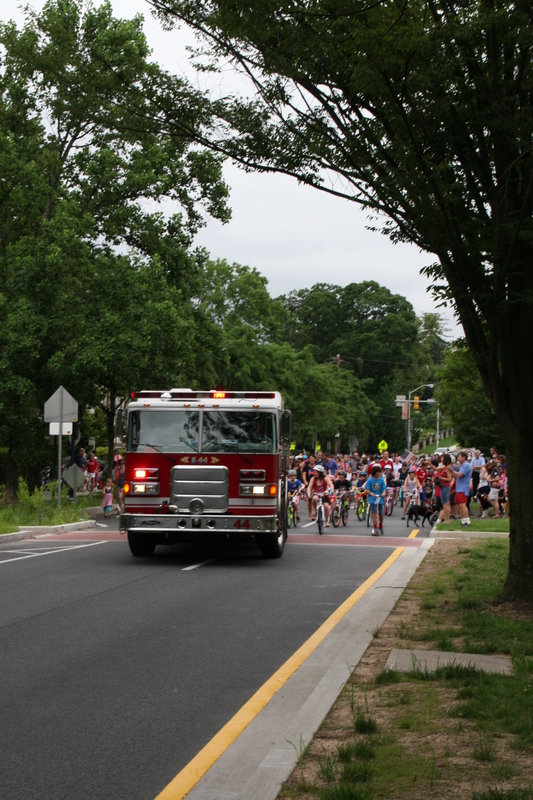 Come help us celebrate in our beloved Annual Roland Park 4th of July Parade now in its 21st year, from 10AM-12Noon on Wednesday, July 4. The parade will start in front of the library with a reading of the Declaration of Independence by Delegate Sandy Rosenberg and some words from our elected officials. 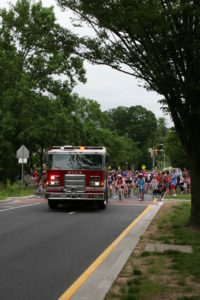 Then we will parade down Roland Avenue behind the local fire truck to the intersection at Upland Road. There will be ice pops for everyone, and if history is a guide, the fire trucks might even hook up a hose to the hydrant to spray us all. The Roland Park Presbyterian Church will open its doors to offer us bathrooms, water and air conditioning for those who need to cool down. Please join us in your brightest and boldest red, white and blue regalia and be sure to decorate your bikes, strollers and pets! This year, we also plan to have commemorative T-shirt’s for sale the week before and during the parade. 100% of the proceeds will go to funding the philanthropic giving of the Civic League!! Afterwards, please send your favorite snapshots from the event to rpcommunication@rolandpark.org so we can commemorate the event here on our website. 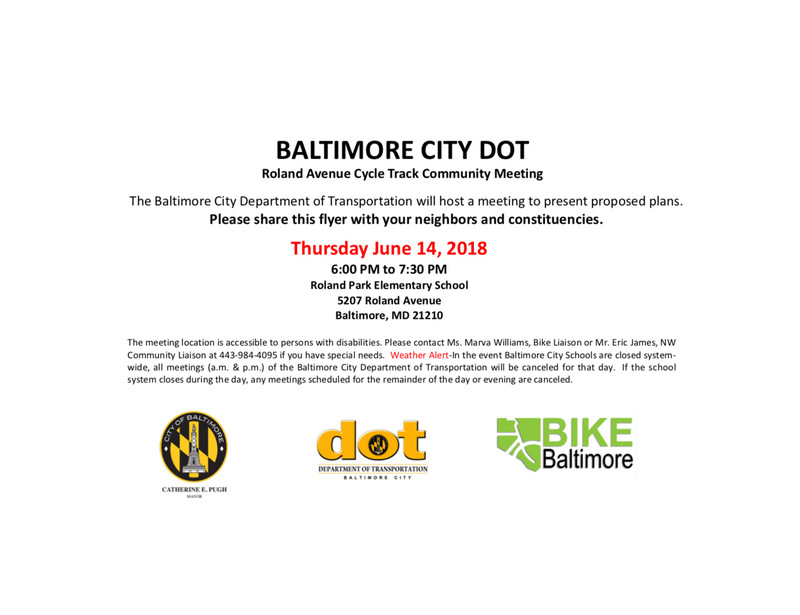 The Baltimore City Department of Transportation has announced a new Public Meeting on the Roland Avenue Cycle Track to take place on Thursday, June 14th from 6-7:30 at Roland Park Elementary/Middle School, 5207 Roland Avenue. 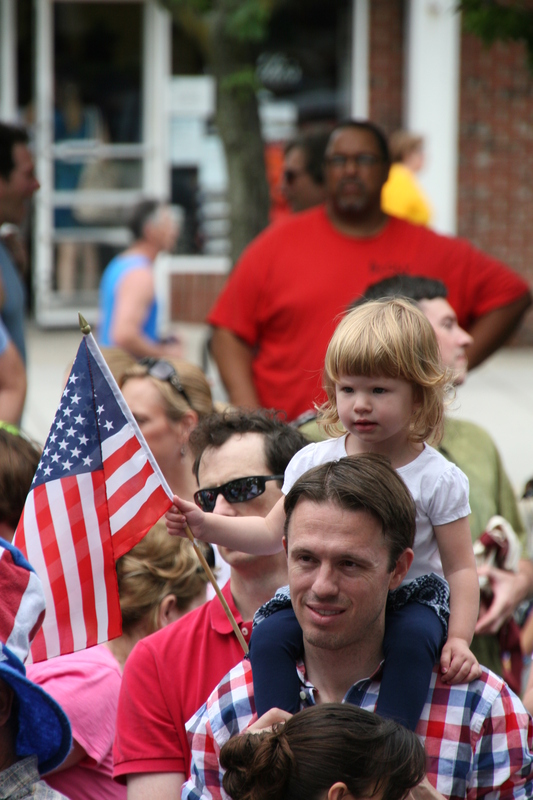 Come celebrate the 4th of July at the Annual Roland Park Parade, from 10-12 on Tuesday, July 4. The parade will start in front of the library with a reading of the Declaration of Independence and some words from our elected officials. Then we will parade down Roland Avenue behind the local fire truck to the intersection at Upland Road. 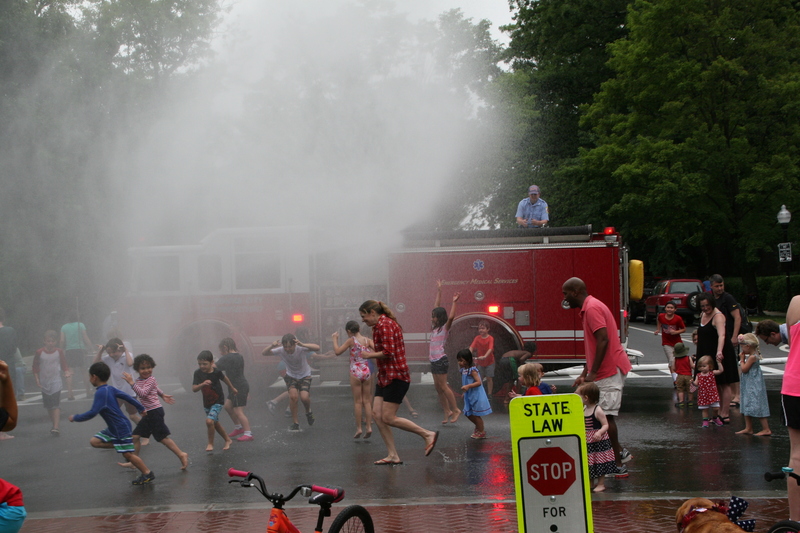 There will be ice pops and water for everyone, and the firetrucks might even hook up a hose to the hydrant to spray us all. The Roland Park Presbyterian Church will open its doors to offer us bathrooms and air conditioning for those who need to cool down. Their children’s group will be selling drinks and snacks. Please join us in your red, white and blue regalia and decorate your bikes, strollers and dogs! Please send your favorite snapshots from the event to rpcommunication@rolandpark.org so we can commemorate the event on our website. Don’t Miss Out: Join Your Neighbors to Celebrate Spring! – April 29th! Village Square Café, Woodberry Kitchen, and The Falls at Roland Park Apartments. 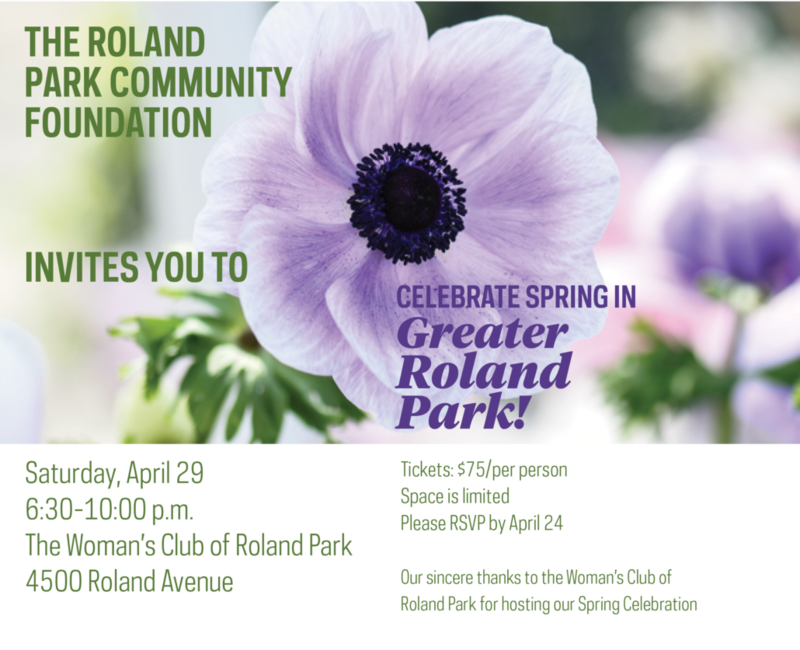 The Roland Park Community Foundation(RPCF) is a non-profit 501(c)(3) organization established in 1986 to preserve, maintain and improve the parks, streams, squares, trees, and other green spaces in our community. Questions? E-mail foundationoffice@rolandpark.org, or call 410-464-2533.
https://rolandpark.org/wp-content/uploads/2015/10/RolandPark_logo_trans.png 0 0 Keith Couch https://rolandpark.org/wp-content/uploads/2015/10/RolandPark_logo_trans.png Keith Couch2017-04-22 12:00:142017-04-22 21:23:45Don't Miss Out: Join Your Neighbors to Celebrate Spring! - April 29th! 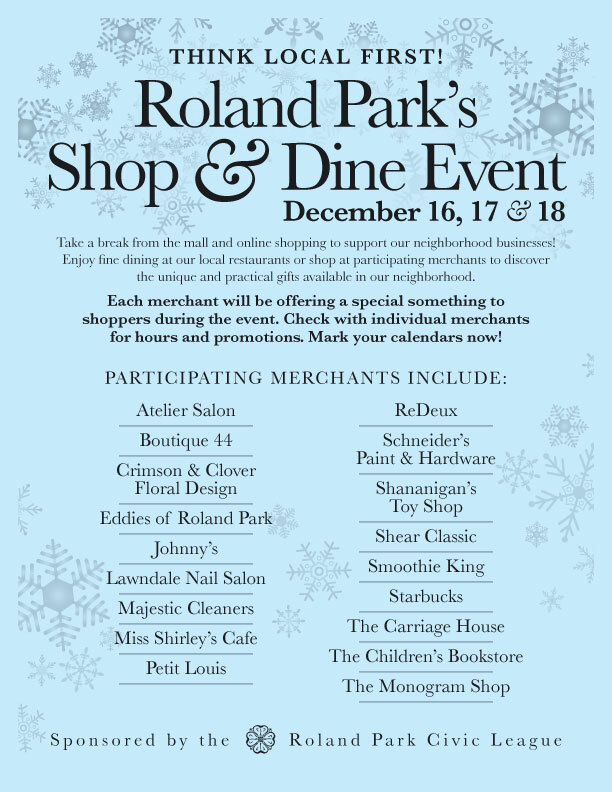 Take a break from the mall and online shopping to support our neighborhood businesses! Enjoy fine dining at our local restaurants or shop at participating merchants to discover the unique and practical gifts available in our neighborhood. Each merchant will be offering a special something to shoppers during the event. Check with individual merchants for hours and promotions. Mark your calendars now! 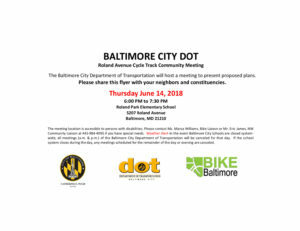 The Roland Park Civic League has scheduled a Cycle Track Committee Progress Meeting. LOCATION: St. David’s Church, Great Hall, 4700 Roland Ave.
See updates available on the committee’s webpage. Roland Park Civic League meeting Wednesday, Oct. 5th at 7PM. The RPCL board will be holding its routine monthly meeting this coming Wednesday evening at 7PM, at the Roland Park Presbyterian Church, 4801 Roland Avenue. The church is located on the northeast corner of Roland Avenue and Upland Road. The meeting is held in the churh basement, which is accessible from the side door on Upland Road. Parking is available on the street. Beside discussing/reviewing last month’s dedicated topic of Public Safety, and routine planning and progress of various board committees and initiatives, a good portion of the meeting will be dedicated to Zoning. Specifically covered will be positions on Transform Baltimore’s drafting, and where we are today with various concerns. Click here to view the agenda for the meeting. We welcome and encourage your attendance. https://rolandpark.org/wp-content/uploads/2015/10/RolandPark_logo_trans.png 0 0 Keith Couch https://rolandpark.org/wp-content/uploads/2015/10/RolandPark_logo_trans.png Keith Couch2016-10-02 21:47:132016-10-02 21:49:50Roland Park Civic League meeting Wednesday, Oct. 5th at 7PM.